The culture of Sparta and the Spartans was pinpoint focused upon their military, they were a highly efficient unit on and off the battlefield. The only truly military state in ancient Greece, Spartans, men, women and children were born into, and lived in an existence that was ruled by regiment and organisation. It was this military regimented mentality that allowed the small Spartan population to become rulers of ancient Greece and the dominant fighting force of the time. The Spartan society was based on the constitution and was ruled by a mixed state of government which worked using quite a complicated system, but this essentially consisted of two kings from two separate families. The kings were considered equal in power and their dual rulership was designed to ensure fairness and harmony in the state. This dual kingship was rather unique and not repeated anywhere in ancient Greece except Sparta, but this feature proved extremely popular throughout the timeline of ancient Sparta. The Spartan elders were known as the Gerousia, and was formed from the two Spartan Kings and 30 additional elders. There were certain requirements before a Spartan could be considered for the Gerousia, they would of course have to be a Spartan citizen, be over sixty years old and the more noble your family, the more chance you had of becoming an elder. 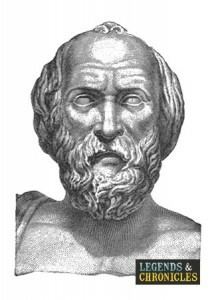 The Geriousia themselves served an important role in the Spartan society, not only being involved in politics, but also acting as middle men between the kings and the Apella the general Spartiates. They would additionally serve as a court in the state, with the power to punish, fine and ban citizens, and even attempt to try the kings in extreme circumstances, should they do something that would require intervention. Of course Sparta was not only a military state, they also had great interest in the arts, culture and philosophy. In comparison to other states of Ancient Greece the Spartans may have appeared less cultured, due to their nominal interest in material possessions. The Spartans while civilised and philosophical were less interested in fancy buildings, or large monuments, than some of their Greek counterparts. A subject the Spartans were intrigued with was of course sport. The Spartans literally lived for their physical exercise, and their prowess and perforce was truly testament to that. 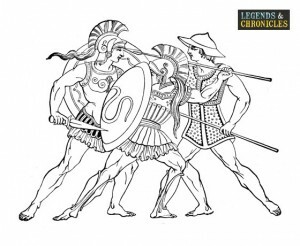 With huge success at the Olympic Games of ancient Greece the Spartans had many great champions like Chionis who would only further serve to enthuse their interest in physical sports and exercises. We already know that eduction was important to the Spartans, even though it might not be the first thing that springs to mind when considering the Spartans. While they valued combat and military excellence over anything else, in many ways intelligence and knowledge are also important to success in combat, and in war. Sparta would teach young children more than just war, it would also teach them reading, writing, music, philosophy and of course athletics and sports. To close, Sparta was more than just a state of war and military. The ancient Spartans were just as interested in culture, music and philosophy as long as it didn’t affect their military strength. Their primary interest was in physical excellence, sports, dancing and of course combat were considered culture in Sparta.